Brown is probably one of the most useful colors in makeup artistry. It allows us to contour our features, add contrast in strategic areas, and can be used pretty much anywhere from our scalp to our toes. 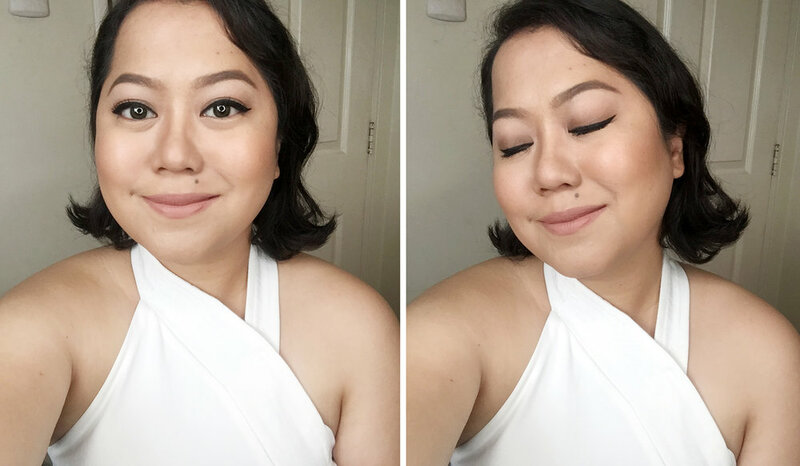 Happy Skin was onto something when they created their new Eye Can Do It 3-Way Palette (P699 at happyskincosmetics.com) as this contains two versatile shades of brown that glide and blend easily on skin. Let's take a closer look! The Eye Can Do It promises to be a three-in-one palette that you can use as eyebrow makeup, nose line shader, and eyeshadow. Deep Taupe is a warm taupe that swatches much darker when it's applied with a wet brush. I love that this can be layered easily to suffice as an eyebrow shade! It can also create a nice smoky eye. Soft Brown on the other hand is great as a nose line color as well as a transition shade for eyeshadows. Both shades are pigmented and easy to use. 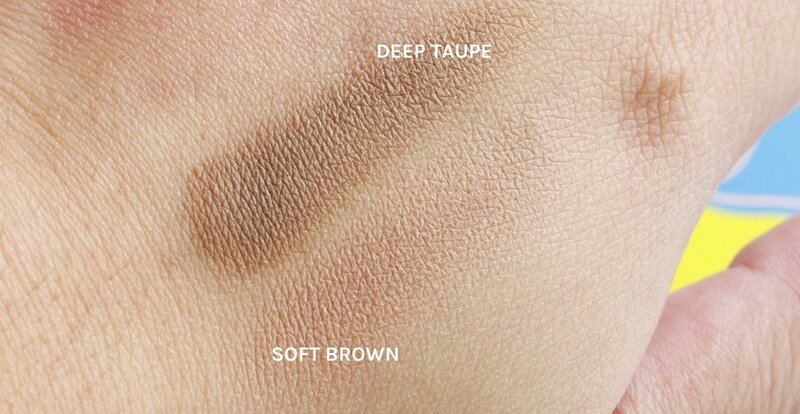 I recommend apply Deep Taupe wet for a more intense look, as you might get frustrated just using it dry on eyebrows. Below is the look where I used the palette on my brows, lids, and nose. You can watch the full video tutorial here too! Staying power is not bad at 4-5 hours on my (not so oily) brows and 3 hours on my nose line. It lasted much longer on my lids since I used an eyeshadow primer beforehand. What I don't like about this is, well, the brush. It is much too small to be used for my eyeshadow and brows; the synthetic angled brush kind of just rubs off the product as I apply it. I also find the palette rather large for product that is so small (1.2-1.3 grams per pan). I would've preferred a more compact palette like the Happy Skin x Jigs Mayuga eyeshadow duo, and that one is classier too versus the cardboard palette. Overall, I enjoy using the Happy Skin Eye Can Do It 3-Way Palette mainly because the shades are excellent for my skin tone and hair color. Both work very well on all parts of my face - I bet I can even use Soft Brown to contour my cheeks and jawline, if needed! I would definitely buy a bigger proper palette of these two colors since they complement me so well. I think these would look great on warm, medium skin tones like mine and fairer. If you're deeper than I am though, these might not show up as well. Beauty Battle: Which of these three cleansing balms is the best?